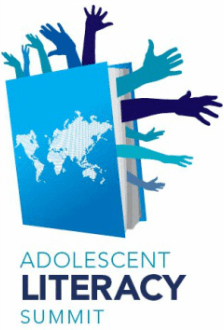 You are invited to attend the 4th Manitoba ADOLESCENT LITERACY SUMMIT, presented by the Manitoba Reading Association a provincial council of the International Literacy Association. Join hundreds of passionate educators in Winnipeg, Manitoba, Canada on April 12 and 13, 2017. Our line-up of speakers includes Pernille Ripp, John Schumacher, Linda Christensen, Richard Van Camp, Niiganwewidam James Sinclair, Sandra McTavish, Michelle Honeyford, Shelley Warkentin, and Eric Walters. For more detailed information about the summit please click here. See the full line-up and register now! The mission of the Manitoba Council of Reading Clinicians is to facilitate literacy learning, diagnostic/specialized assessment and instruction through influence and upholding standards of practice, to support our members, parents and students, and to promote the work of Reading Clinicians among educational communities, related professional groups and the general public.